(Natural News) More often than not, you can find the solution to your ailment in nature. That unassuming-looking weed can actually be a cure for stomach flu or something else. Here, we look at some of the best medicinal plants to have and grow in your garden. While there are many more excellent medicinal plants to add to your garden, here are the ones that we’ve found for some common ailments. Before that: take note of how much space you have to grow plants. If you’ve got more than enough soil then by all means plant as many of these as herbs and flowers as you like. But if your planting area is limited, then you’ll need to plan carefully. More than just a delicious additive to teas, lemon balm is an all-purpose plant that can do wonders for you even if you aren’t sick. It relaxes the mind and encourages sleep, making it a good plant to have around if you suffer from anxiety or insomnia. Conversely, it can also be used to increase alertness and improve your memory and problem-solving skills. Like its many uses, there are also a number of ways for you to take lemon balm. Mix it with some honey to make an herbal syrup. Turn it into a homemade salve. It all depends on how you plan to use it. Commonly known as “marigold”, this beautiful flower is one of the most useful to have around because of its healing abilities. Make a healing salve out of it and then apply it on areas affected by skin irritation, minor wounds and insect bites for quicker recovery. Calendula can even give you even-toned and smooth skin with repeated use. Like lemon balm, yarrow is another multi-purpose plant than can take care of a score of health problems. From treating wounds to reducing fever to improving circulation, this little plant does all that and more. You can take it as a tea, add it to your bathwater, or turn it into a salve. It also helps children relax, so if you’ve got some rambunctious kids around yarrow might be of help. You can drink it as a tea or even chew the leaves if you’re outdoors. Aside from being used for fevers, this herb has also been used to treat stomach illnesses, reduce headache, and improve digestion. In the past, it was used for dizziness, menstrual problems, and colitis. Feverfew is impressive in that it addresses the cause of the headache rather than just eliminating the pain. Those prone to headaches and migraines are encouraged to keep this handy reliever around the house. This lovely plant is one of the most popular medicinal herbs for good reason. People have utilized Echinacea to boost their immune system, alleviate symptoms of the flu, relieve pain, fight infection, and heal sore throats. 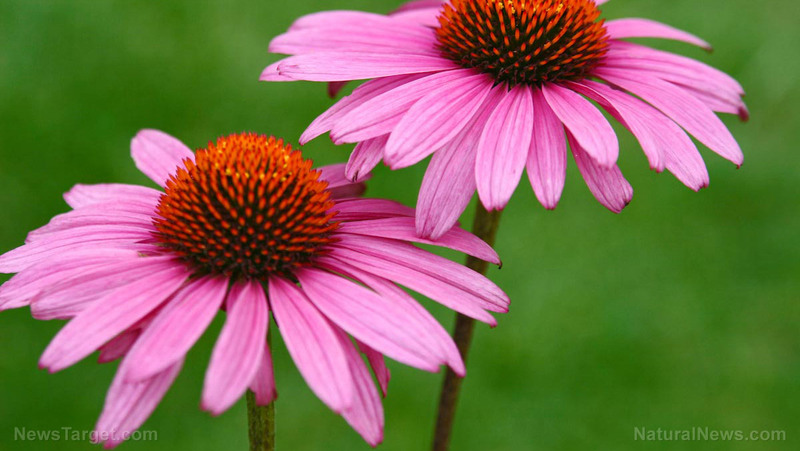 Because of its potency, we recommend taking Echinacea only when necessary. Taking too much of it can be damaging to your health. Put your gardening skills to good use by making your own backyard pharmacy. Set aside a few extra hours to grow and care for these amazing medicinal plants and many others. Your body and your family’s bodies will thank you for it. Find more natural remedies to your condition by reading the articles on Remedies.news. Are you familiar with these 20 herbs that can be used as medicine?